In 2017, I stumbled upon our chapter’s Blue Water Task Force page after researching volunteer positions in San Diego’s water quality sector. I was completely taken aback after reading about the February spill event that discharged over 143 million gallons of untreated sewage into the Tijuana River Valley and onto our beaches. I was inspired by the surge of community response and activism and saw an opportunity to get involved directly. Joining the Surfrider San Diego Chapter has allowed me to leverage my background in water quality, social justice, and sustainability to connect with like-minded advocates and help amplify important environmental issues affecting our region. Although the toxic border sewage crisis has been an ongoing problem for at least the last 30 years, it continues to surprise me how very little people know about it. I have worked for the last year three years to better educate myself on San Diego’s coastal water quality policies and monitoring programs so that I can help communicate issues that affect our region to more communities and advocate for more support. I meet people every day who have no sense of the impact that water quality has on public health. The more I learn, the more I realize how important it is to help raise awareness within our communities about general guidelines, like the post-rain 72-hour rule and their importance on human safety and public health. In 2018, I helped re-launch our chapter’s Blue Water Task Force program and worked to install three water quality monitoring labs around San Diego County. We currently sample a total of 10 coastal recreational sites on a weekly basis with help from community members and local high schools. This year we will be focusing on growing our network of volunteers and community relationships to continue to build program visibility and credibility. Q: What has been the highlight of your Surfrider experience? 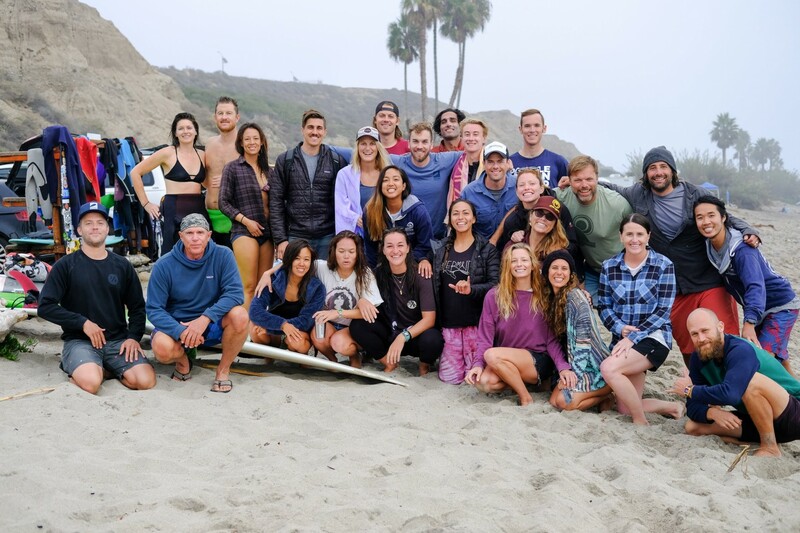 The highlight of my Surfrider experience has been connecting with a huge network of environmentally-conscious and caring people. I have felt an immense show of support for all of my program-related efforts and am so happy to be a part of such an amazing community. These connections have helped grow our chapter’s collaborations and partnerships with other environmental groups and grassroots community movements. 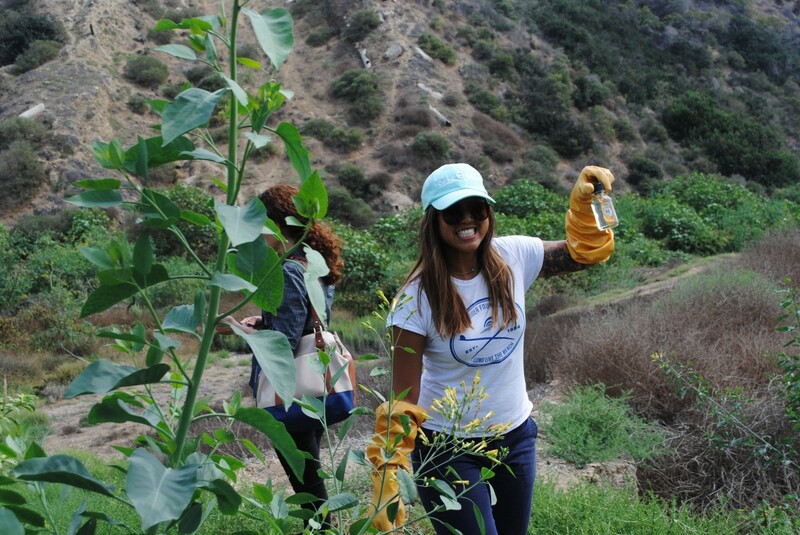 For example, last August I had the opportunity to join several other non-profit organizations on a cross-border water testing adventure in Playas de Tijuana, MX that helped raise awareness about important issues in that community. I also enjoy working with the different San Diego high schools that participate in BWTF and watching students have fun while learning real world applications of technical skills and research. I am so grateful for our members and volunteers and continue to be inspired them everyday. You don’t have to be a surfer to get involved! I am actually quite terrible at surfing...but I don’t let that stop me from trying whenever I can. I recently learned to enjoy open water swimming after training to compete in my first triathlon last year and am also PADI Open Water certified. Really, the most important thing I tell others about Surfrider is that if you can dream it, you can achieve it. All it takes is commitment, consistency, and a persistent heart. The Surfrider community works to empower those who dream of a cleaner, healthier, and more protected planet. I was raised on the belief that community service is an important act of gratitude and that charity is an active practice of being thankful for what you have. My first experience with community service was volunteering with Habitat for Humanity in Louisiana after Hurricane Katrina. During that time, I learned that sharing your time and experience is one of the greatest gifts you can give to those in need. I am a Surfrider coastal defender because I care about my city and want to share and use my knowledge and skills to protect our beaches and help educate our communities on the important connections between water quality and public health.